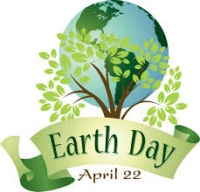 Earth Day 2015 | A.B.E. Remodeling, INC.
As we reflect on today being "Earth Day" let us first of all be thankful for the good things we have on this earth. Most of us respect the earth and do our part to keep it clean. Especially today maybe we can pick up some litter along our roads that may have been tossed by someone less responsible of enjoying the beauty of the earth. Maybe we can get some new plants in the ground. Maybe we can plant a tree. I hear tree hugging is an interesting thing to do....so maybe you want to give that favorite tree in your yard a big ole' bear hug and whisper to it - how much we appreciate the shade from it's leaves-the changing colors of the leaves in fall. Whatever tiny or big thing you do today to think of Earth Day....DO IT. A little reaction is better than no reaction at all. Of course, most of us cannot do big costly things to help the environment but we can do little things to make the earth a better place to be. We need to keep this earth healthy for our children and their children. Here are a few "Earth Day" quotes I found..... there's more…but I'll let you research that if you want to. . ENJOY your day and our EARTH.